There are 19 Memory Care Facilities in the Northridge area, with 4 in Northridge and 15 nearby. The average cost of memory care in Northridge is $4,111 per month. This is lower than the national median of $4,650. Cheaper nearby regions include Van Nuys with an average starting cost of $3,175. To help you with your search, browse the 3 reviews below for memory care facilities in Northridge. On average, consumers rate memory care in Northridge 5.0 out of 5 stars. Caring.com has helped thousands of families find high-quality senior care. To speak with one of our Family Advisors about memory care options and costs in Northridge, call (855) 863-8283. Northridge is a small town just northwest of Los Angeles, in the largest urban area in the state. According to the U.S. Census Bureau, nearly 40 million people live in California, 15 percent of them are seniors over the age of 65 and at least 650,000 people in the state have been diagnosed with Alzheimer's disease. Many people with Alzheimer's, Huntington's disease and other forms of dementia live in memory care facilities, where trained staff can look after their needs and help them follow their treatment programs. California's memory care facilities are often located on or near the grounds of existing assisted living communities. 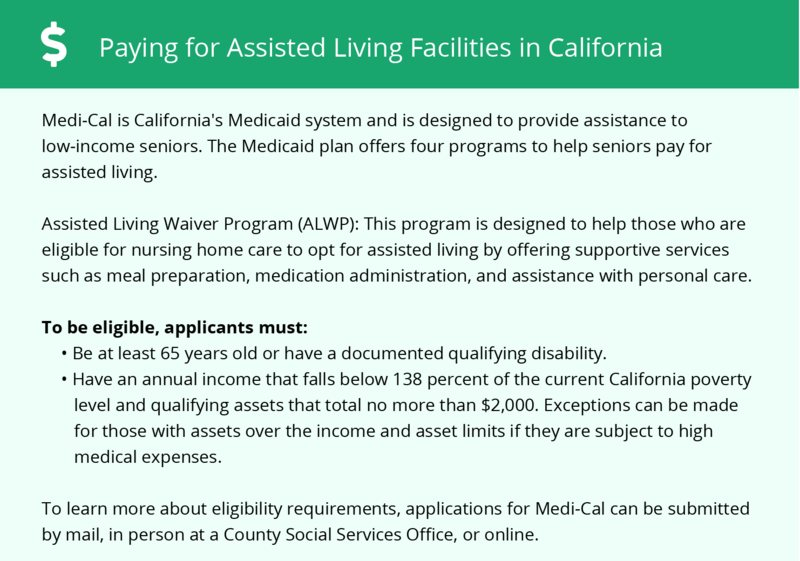 Both types of facilities are sometimes known as Residential Care Facilities for the Elderly (RCFEs), by the California Department of Health and Human Services, which regulates and inspects long-term care communities throughout the state. Northridge has 40 licensed memory care facilities, where seniors who need close monitoring can get supervision, prepared meals and medication prescribed by their doctors. The weather in Northridge is one of the chief attractions that draws people here. Long, hot summers rise to an average of 88 degrees Fahrenheit and winter lows rarely get below 41 degrees, which is good for seniors who like to spend time outdoors. Northridge gets just 17 inches of rain per year. The region around Northridge has a relatively high cost of living. Overall prices run up to 60 percent higher than the national average, while in specific sectors, such as healthcare, seniors in memory care may pay 9 or 10 percent above the typical national rate. Northridge is part of the Burbank region of the Los Angeles metro area, and shares a relatively low crime rate with its parent community. Violent crime rates are roughly half that of California as a whole, while property crime is only about 5 percent higher than the rest of the state's average. The odds of being the victim of a violent crime in California are one in 225, while the equivalent local figure is one in 479, and lower still for seniors in memory care. The Northridge area is home to world-class medical facilities, including those specializing in brain health and dementia care such as Northridge Hospital Medical Center and Mission Community Hospital, in the event of medical emergencies or illness. Memory Care costs in Northridge start around $4,111 per month on average, while the nationwide average cost of memory care is $4,799 per month. It’s important to note that memory care rates in Northridge and the surrounding suburbs can vary widely based on factors such as location, the level of care needed, apartment size and the types of amenities offered at each community. Northridge and the surrounding area are home to numerous government agencies and non-profit organizations offering help for seniors searching for or currently residing in an assisted living community. These organizations can also provide assistance in a number of other eldercare services such as geriatric care management, elder law advice, estate planning, finding home care and health and wellness programs. To see a list of free memory care resources in Northridge, please visit our Assisted Living in California page. 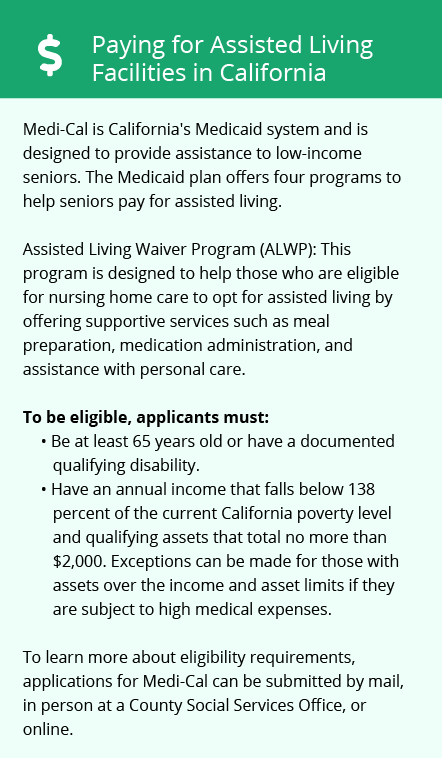 Northridge-area assisted living communities must adhere to the comprehensive set of state laws and regulations that all assisted living communities in California are required to follow. Visit our Memory Care in California page for more information about these laws.